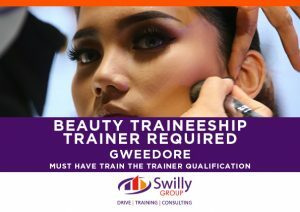 The Swilly Group are now accepting applications for a Beauty Therapist Tutor to join our team for our upcoming Beauty Therapist Traineeship programme in Co. Donegal. 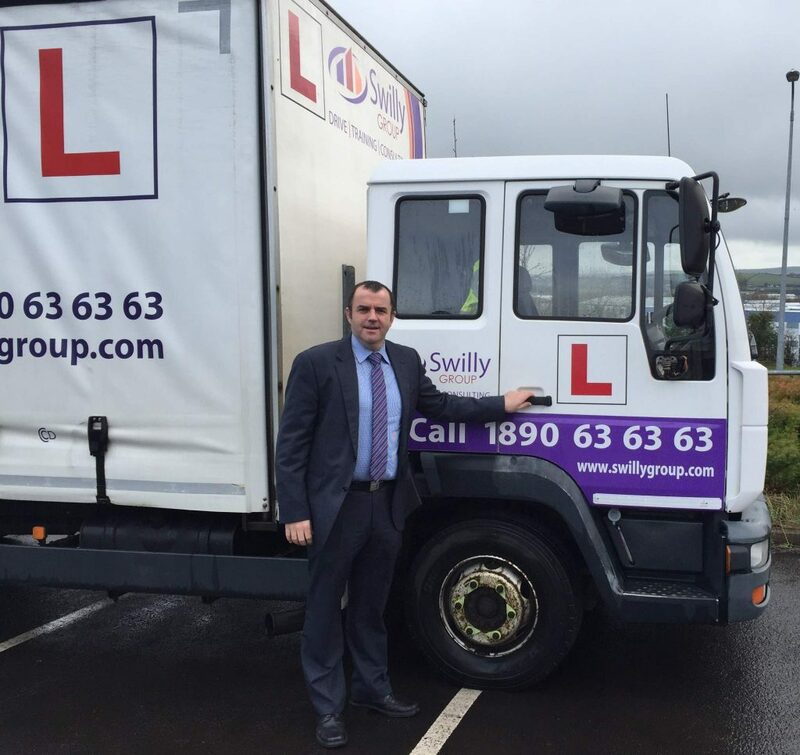 Established in 1975, the Swilly Group has grown to become one of the leading providers of training, recruitment and employment support services in Ireland. The company serves industries such as Hospitality, Beauty, Transport, Tourism, Care Services and Outdoor Activities. Candidates qualifications in a Beauty related discipline at Level 6 or higher, have a minimum 5 years salon experience as well as having a QQI level 6 Train the Trainer (or equivalent) are invited to apply for the trainer vacancies. All candidates must be eager to learn, confident, good with people and flexible. To apply for this post please email Susan on susan@swillygroup.com with Beauty Therapist Tutor Application in the subject line. The learners from the Local and National Tour Guiding course, being run at the Loughlinstown Training Centre, got a pleasant surprise on Thursday when they got to meet President Michael D Higgins at Áras an Uachtaráin. As part of this new and exciting course, a visit to the popular tourist attraction, Áras an Uachtaráin, was arranged by the course delivery partner Swilly Group. However, to everyone’s surprise, President Higgins was at home and came out to meet and talk with the learners. Anne Hennessy from Loughlinstown Training Centre said “It was real treat for our learners to meet President Higgins”. “We really appreciate, and would like to thank, the President for taking the time out of his busy schedule to meet with our learners”. 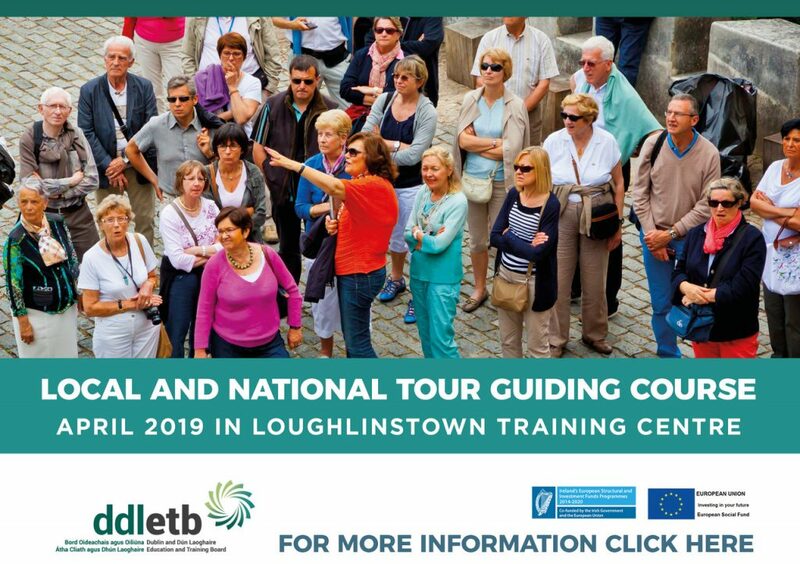 The Local and National Tour Guiding Course is being run by Loughlinstown Training Centre, part of the Dublin Dun Laoghaire Education and Training Board (ETB). This innovate course is being delivered in partnership with the training company Swilly Group. 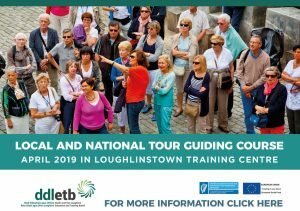 Loughlinstown Training Centre is currently recruiting for the next Local and National Tour Guiding course scheduled to start in South Dublin in April 2019. Places are limited to 20 learners per course and anyone interested is advised to register their interest early to avoid disappointment. Click here to register your interest in the Local and National Tour Guiding Course. Learners can receive further information on any of the courses at Loughlinstown Training Centre by contacting the course recruitment department by phone on (0)1-204 3600 or by email on llrecruit@ddletb.ie. Cavan Monaghan ETB is currently recruiting for a range of driving programme that will help learners secure jobs in the freight and passenger transport industries. This range of employment support programmes offer persons seeking employment an excellent opportunity to acquire the skills, knowledge and receive support to secure employment as drivers in transport businesses throughout Cavan and Monaghan. 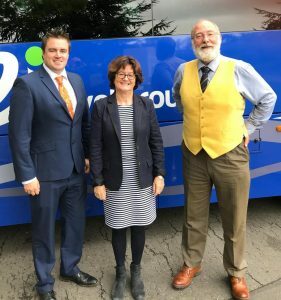 Cavan Monaghan ETB has been working closely with the transport training company Swilly Group and local employers to develop programmes that will deliver jobs in the border area. Current programmes include Forklift Driving, HGV-Rigid, HGV-Artic and Bus Driving. All of these programmes incorporate a healthy mix of theoretical learning, practical skills training and a period of work placement with a local employer. The programmes are ideal for learners wishing to follow a career in driving. Leo Mallen, CMETB said “We have been liaising with employers in Cavan and Monaghan for some time now, to understand their specific employment needs”. “We feel we have a range of programmes that will provide the learners with the skills and competences that employers want but also a number of industry specific qualifications recognised by employers”. Leo continued, “The learners will also receive job seeking support from a qualified jobs coach and we are very confident that there will be a high job placement from this programme”. According to the report Addressing the demands for Skills Freight Transport, Distribution and Logistics Sector in Ireland, 2015-2020 published in 2015 by the Expert Group on Future Skills Needs (EGFSN) identified a significant demand for HGV Drivers and other occupations within the sector. The CMETB driving programmes have been specifically designed to meet these growing needs. Courses are scheduled to start in Cavan and Monaghan in October and November. Places are limited to 16 per course and anyone interested is advised to register their interest early to avoid disappointment. Click here to register your interest in the HGV-Artic Driving Course. Click here to register your interest in the HGV-Rigid Course. Click here to register your interest in the Bus Driving Course. Click here to register your interest in the Forklift Truck Operator Course. Learners can receive further information on any of the CMETB driving programmes, call (074) 91 51212 or email karl@swillygroup.com. 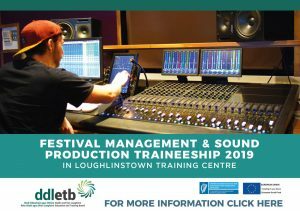 Loughlinstown Training Centre, part of the Dublin Dun Laoghaire ETB, is currently recruiting for their new Festival Management and Sound Production Traineeship. This exciting new programme will offer persons seeking employment an excellent opportunity to acquire the skills, knowledge and receive support to secure employment within the Festival and Event industry. Loughlinstown Training Centre has been working closely with the training companies Sound Training College, Swilly Group and local employers to develop programmes that will deliver jobs in the Tourism Industry. Recently developed programmes include Festival Management and Local and National Tour Guiding. All of these programmes incorporate a healthy mix of theoretical learning, practical skills training and a period of work placement with a local employer. The programmes are ideal for learners wishing to follow a career in Festival Management. Feedback from employers familiar with the course has been very positive thus far. “The entertainment industry employs as many people in Ireland as Google, Apple, Yahoo and Twitter combined.” – Denis Desmond, of MCD Productions. 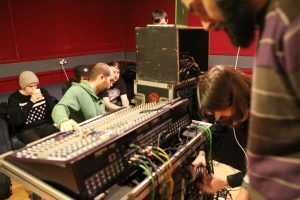 “The Festival Management and Sound Production course gives students a real world understanding of the live event industry. We continue to use graduates to staff our events on a regular basis.” – Brian Gormally, of Sherpa Events. Derek Elders, Loughlinstown Training Centre, said “We have been liaising with employers in Dublin to understand their specific employment needs”. “We feel that our programmes will provide the learners with the skills and competences that employers want but also a number of industry specific qualifications recognised by employers”. Derek continued, “The learners will also receive job seeking support from a qualified jobs coach and we are very confident that there will be a high job placement from this programme”. Courses are scheduled to start in South Dublin in June. Places are limited to 20 per course and anyone interested is advised to register their interest early to avoid disappointment. Learners can receive further information on any of the courses at Loughlinstown Training Centre by contacting the course recruitment department at the Loughlinstown Training Centre by phone on (0)1-204 3600 or by email on llrecruit@ddletb.ie. Loughlinstown training Centre, part of the Dublin Dun Laoghaire ETB, is currently recruiting for their new Local and National Tour Guiding programme. This exciting new programme will offer persons seeking employment an excellent opportunity to acquire the skills, knowledge and receive support to secure employment within the Tourism industry. 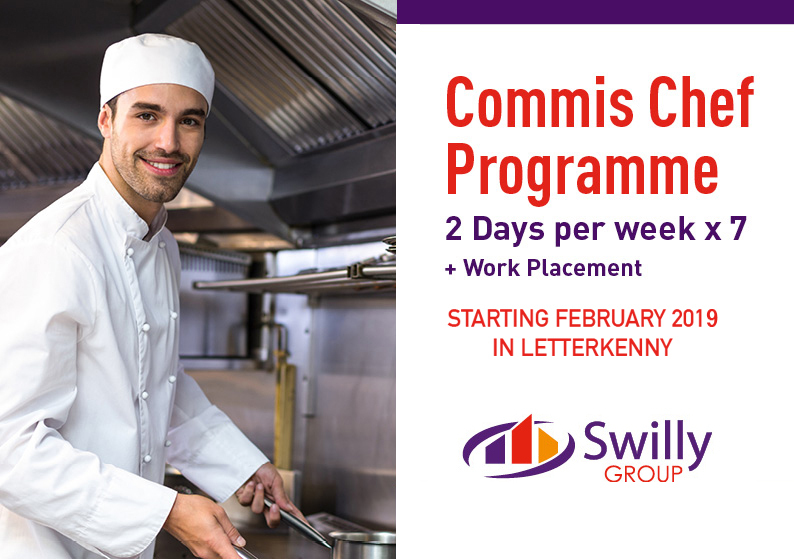 Loughlinstown Training Centre has been working closely with the training company Swilly Group and local employers to develop programmes that will deliver jobs in Tourism. Recently developed programmes include Festival Management and Sound Production Management and Local and National Tour Guiding. All of these programmes incorporate a healthy mix of theoretical learning, practical skills training and a period of work placement with a local employer. The programmes are ideal for learners wishing to follow a career in tourism. Derek Elders, Loughlinstown Training Centre, said “We have been liaising with employers in Dublin to understand their specific employment needs”. “We feel that our tourism programmes will provide the learners with the skills and competencies that employers want but also a number of industry specific qualifications recognised by employers”. Derek continued, “The learners will also receive job seeking support from a qualified jobs coach and we are very confident that there will be a high job placement from this programme”. Courses are scheduled to start in South Dublin in April. Places are limited to 20 per course and anyone interested is advised to register their interest early to avoid disappointment. Click here to register your interest in the Local and National Tour Guiding. 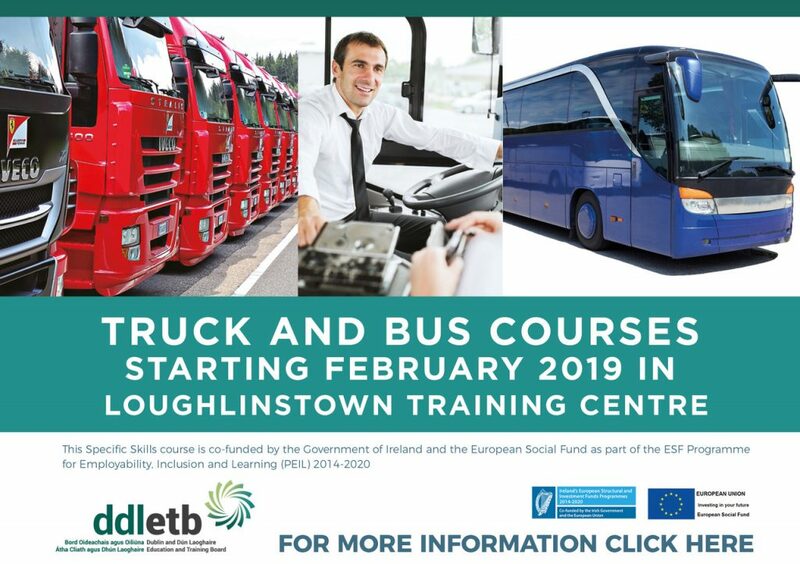 Loughlinstown Training Centre, part of Dublin Dun Laoghaire ETB, is currently recruiting for a range of driving programme that will help learners secure jobs in the freight and passenger transport industries. This range of employment support programmes offer persons seeking employment an excellent opportunity to acquire the skills, knowledge and receive support to secure employment as drivers in transport businesses throughout Dublin and Leinster. Loughlinstown Training Centre has been working closely with the transport training company Swilly Group and local employers to develop programmes that will deliver jobs in the Dublin and surrounding area. 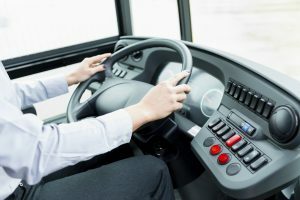 Current programmes include HGV-Rigid, HGV-Artic and Bus Driving. All of these programmes incorporate a healthy mix of theoretical learning, practical skills training and a period of work placement with a local employer. The programmes are ideal for learners wishing to follow a career in driving. Derek Elders, Loughlinstown Training Centre said “We have been liaising with employers in Dublin to understand their specific employment needs”. “We feel we have a range of programmes that will provide the learners with the skills and competencies that employers want but also a number of industry specific qualifications recognised by employers”. Derek continued, “The learners will also receive job seeking support from a qualified jobs coach and we are very confident that there will be a high job placement from this programme”. According to the report Addressing the demands for Skills Freight Transport, Distribution and Logistics Sector in Ireland, 2015-2020 published in 2015 by the Expert Group on Future Skills Needs (EGFSN) identified a significant demand for HGV Drivers and other occupations within the sector. The Loughlinstown Training Centre driving programmes have been specifically designed to meet these growing needs. Courses are scheduled to start in South Dublin in January and February 2019. Places are limited to 16 per course and anyone interested is advised to register their interest early to avoid disappointment. Click here to register your interest in the HGV-Artic course. The Swilly Group has just announced a major expansion of their Hospitality training division in 2018. The company will be expanding their operations across the country and plan to double their work force over the next twelve months. Swilly Group Managing Director, Brian Sweeney said, “We have just secured a significant body of work and have ambitious expansion plans in place for the next few years”. “The largest area of growth with be in our Dublin Office but we also have vacancies in Cavan, Monaghan and all along the West Coast, as far down as Limerick. Brian continued, “We are now looking to hear from persons interested in developing a career in the Hospitality and Sports/Outdoor activities training industry”. The ideal candidate will be qualified at degree level in a relevant discipline, have at least 3 years’ experience and a proven track record in a customer centric role in a dynamic environment. 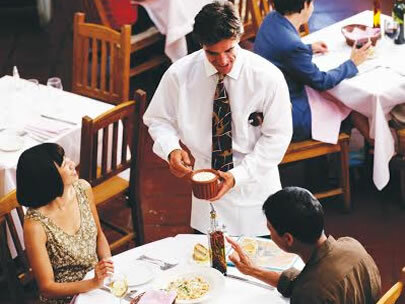 Relevant experience in the hospitality or Sports sector, working directly with people, or a similar role is essential. He/she must be confident, good with people, flexible, eager to learn and be able to think on his/her feet. Excellent communication and organisational skills, problem solving skills and a way with people are critical requirements. A train the trainer qualification and an interest in training and education is an advantage. To find out more about the current vacancies, contact Susan at Swilly Group on (074) 9151212 or 1890 63 63 63, email susan@swillygroup.com or check out our website on www.swillygroup.com. The Swilly Group has announced that they are accepting applications for two vacant positions in their Driving Division. The successful driving school is now accepting applications for two vacancies at their Letterkenny Office, HGV Driving Instructor and Driving School Manager. Managing Director Brian Sweeney, “It is a very exciting time at the company.” “We have expanded our service portfolio and geographical footprint over the last 10 years to become the leading provider of Truck and Bus driver training services across Ireland.” “We are now looking for a number of ambitious candidates who are interested in developing a career in the driver training industry.” Brian continued, “We are offering attractive employment packages and will provide the necessary Driving Instructor training to the successful candidates”. Artic Truck and Coach Drivers with at least 3 years driving experience are invited to apply for the HGV Driving Instructor position. 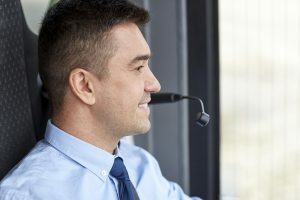 For the Driving School Manager vacancy, the successful candidate will have at least 3 years’ management experience and a proven track record in Truck or Bus driving, Transport Management or a similar role. All candidates must be eager to learn, confident, good with people and flexible.